This awesome story of his Euromeet 2014 experience has been written by Tom Maher, click below to see the full story with pictures! 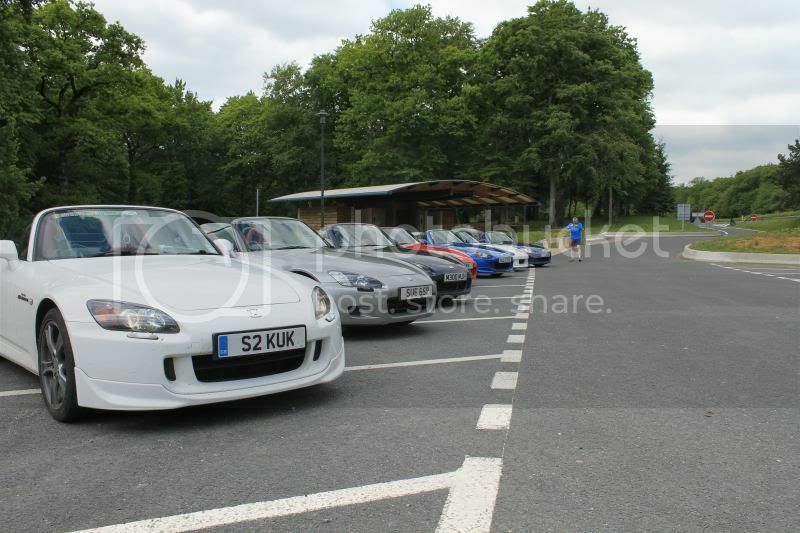 It was late August when the rumours of Euromeet 2014 started to float around the S2000 community. Everyone who made it to Euromeet 2009 knew the potential it could have and those who missed it had spent the last 4 years hoping it would come again. Like any sequel it was always going to be compared to the last, especially as the location was exactly the same. But Euromeet 2014 was never going to be a sequel, some cobbled together left overs trying to replicate a bygone dream. Euromeet 2014 was designed to strengthen the incredible spirit of the European S2000 community and that’s exactly what it would do. 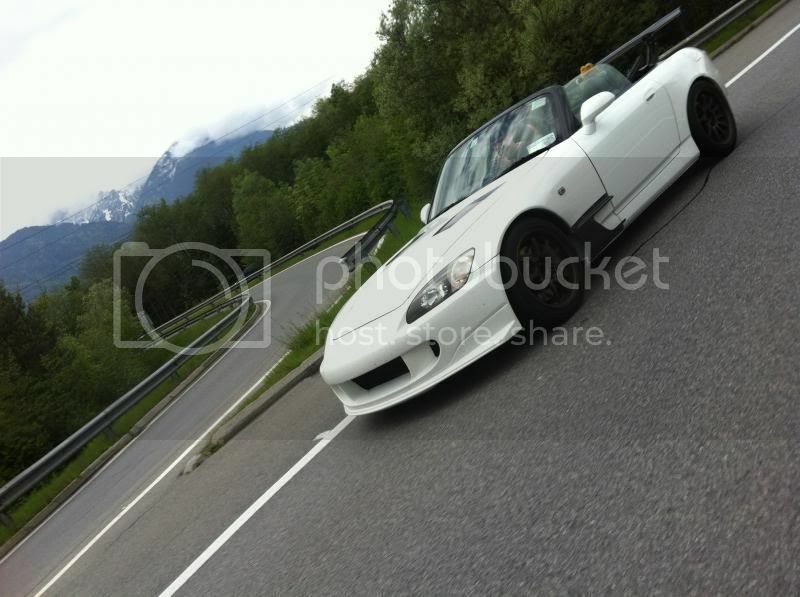 Within 24 hours of first whispers online, I was contacted from S2000 owners from all over Europe. The same questions kept popping up: “Where, when and how do I pay?” I knew then that there was no way of stopping the power of dreams becoming a reality. Within a couple of weeks I had gotten word from official sources that the people had been heard and Euromeet 2014 would be taking bookings in the New year. From that point on the sense of excitement was building; all through Christmas while some people were dreaming of Santa and Christmas gifts, I lay awake thinking of the beautiful Italian roads and the incredible adventures that lay ahead. Knowing that the places would be limited only increased the sense of anticipation as I waited for the official email saying the booking was now open. I typed as fast as I could with the excitement of a giddy child as I filled out all the information. Then suddenly it was done, it was booked, we were going, Euromeet 2014 was no longer a whisper; it was a reality. For the next few days I received a constant stream of messages from friends across Europe letting me know they were booked in too. 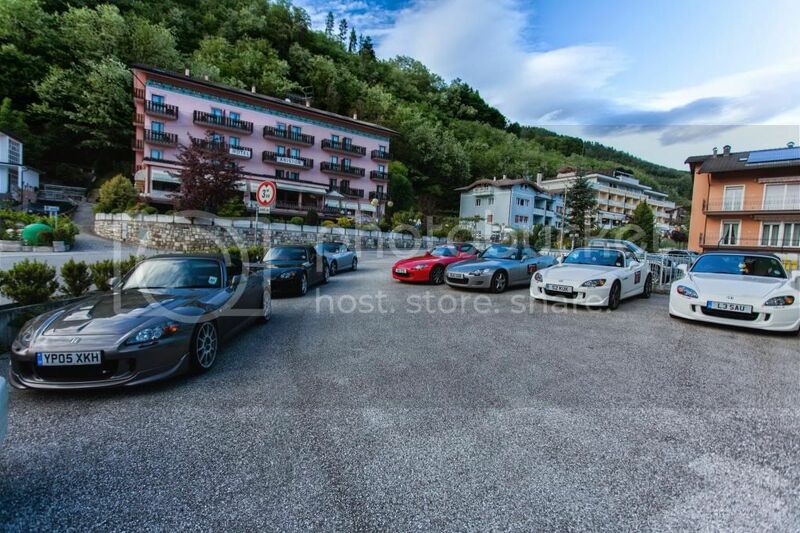 The venue was Levico Terme in Northern Italy; this lakeside town nestled at the base of the Italian Alps would be home to the largest gathering of Honda S2000s in Europe from the 16th to 18th of May. 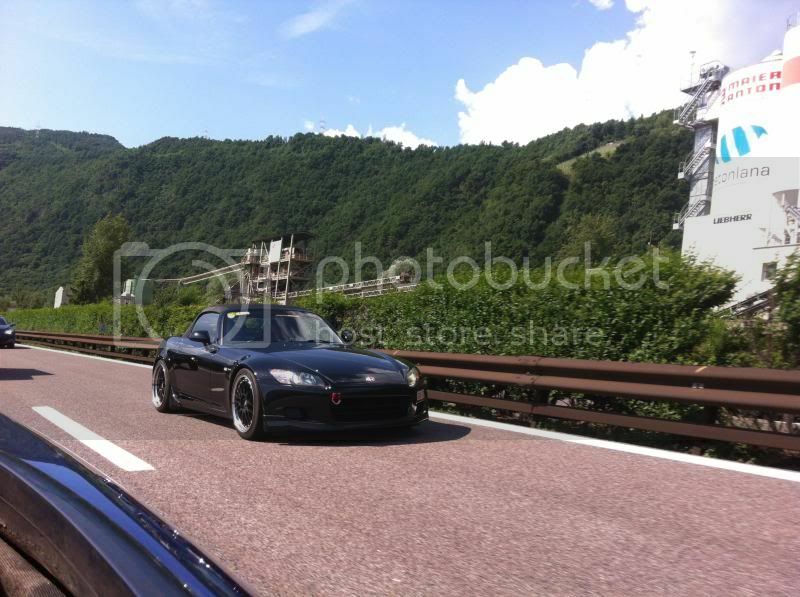 May seemed like a lifetime away when I marked the calendar in early January, but before I knew it routes were being planned, ferries and hotels booked and I began seeing pictures being posted of S2000s getting ready for the long journey to Italy. Having taken ten days off work to prepare my own S2000, I was quite disappointed when an airlock in the cooling system caused it to overheat on Tuesday morning, just 2 hours before we departed for the ferry to France. 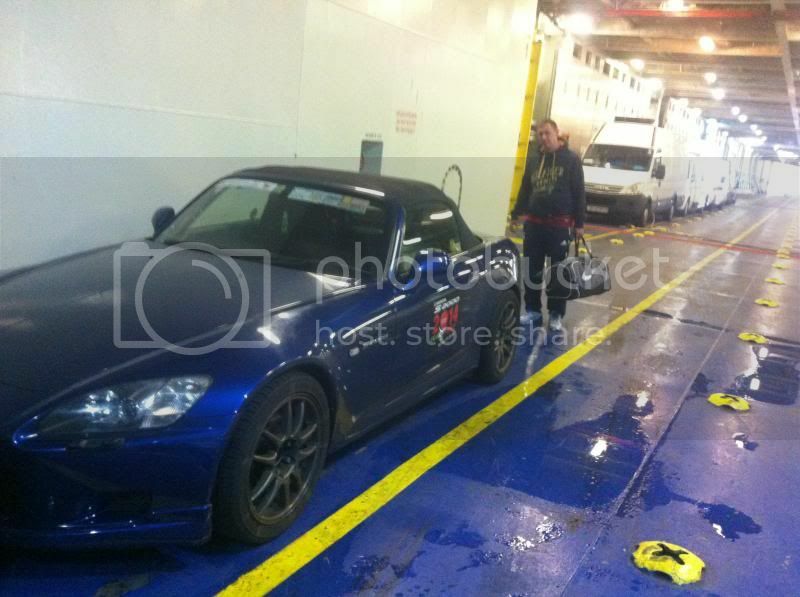 Thankfully my partner in crime for these adventures, Jonner, had already offered to bring his S2000, and after a few phone calls to get the insurance sorted, I offloaded everything from my car into his just as the rest of the Irish contingent arrived. While running back and forth with armfuls of maps, extinguishers and clothes, I noticed that the front brake pads on Jonner's car were almost gone, but a quick look through the garage found some better pads that I threw in the boot to be changed later. Like homing pigeons that had been released from the far corners of Europe, small groups of S2000s from Austria, Belgium, Finland, France, Germany, Great Britain, Hungary, Ireland, Italy, Netherlands, Portugal, Russia, Slovakia, Sweden and Switzerland departed their homes and started forming Italy bound convoys . By the time I collected Jonner and we got to the ferry I was exhausted, and once we had all boarded for our 22 hour sailing I wasn’t fit for anything but food and sleep. Wednesday morning brought a beautiful blue sky as we entered the port of Cherbourg; having had a smooth sailing and a decent breakfast we were all set for the day's 550km drive to Reims and our rest place for the night. The roads were mainly motorways for the first 300km or so, and other than slowing down for what seemed to be an endless array of French toll roads, the journey up until lunch time was pretty uneventful. After lunch, with the traffic getting heavier and the sat nav directing us into the centre of every town and village we encountered, we decided to leave the motorways and head directly for Reims. Although this seemed like a good idea at the time, it had two major failing points; the first was that it was coming up on rush hour traffic time as people finished work for the day, and secondly the blue skies gave way to angry rain clouds. A quick stop to put the roof up and we continued on our way towards Reims, where Ian, Sue and Martin from the UK were waiting for us. Our accommodation for the night was a beautifully renovated farm house turned B+B in the heart of the Champagne region. After being on the road all day it was great to the UK members of our group had checked in and had already been to the shop so they had a great spread of food waiting for us. A quick change and we were ready to head into town for dinner. While we waited for the others to get into their taxis, Jonner and I were parked in front of the entrance to a house when a Mercedes A class pulled up and the driver jumped out and ran over to my window. As I thought we were blocking his driveway, I was about to pull away when he shouted “Wait! Are you going to Euromeet?” This really caught me by surprise, and as the conversation continued we discovered that this guy was a local S2000 owner who was currently rebuilding his S2000's engine and that was the only reason why he wasn’t going to be able to make it himself. Before I could get any more details from him, the taxis carrying the others left for town and we needed to follow suit. Once in Reims town centre we tracked down the restaurant that was suggested by the owner of our accommodation. We were greeted with champagne for everyone and it wasn’t long before the table fell silent as the food arrived. With dinner over and the thoughts of the next day's route being the main topic of conversation, we headed back to the B+B and made plans for the morning. The morning came sooner than we expected as Martin thumped the bedroom door down at 5:36am. I had parked Jonner’s car inside the front courtyard of the house and blocked every other car in, not realising that the proprietor was going to Paris very early the next morning to sell some of his 220,000 bottles of champagne that he kept in the cellar. I could hear Martin shouting as Jonner ran to the door, and I’m not entirely sure how I didn’t decapitate him as I rolled over and fired the car keys at him in the darkened hallway. A couple of hours later we got up, had breakfast and started some running repairs - Martin's supercharger needed some tightening and by the time we removed Jonner’s front brake pads they were almost on the steel backing plates. A quick check of fluid levels and wheel nuts, and we got Thursday's journey underway. Thursday’s route took us almost directly east, entering Germany roughly halfway along our 560km route. With Ian taking the lead, our pace increased nicely as our seven car convoy stretched out along the motorway. As with the previous day we seemed to encounter an endless amount of toll roads and as most of our group had no passengers these toll stops became an ordeal as each driver would have to stop and exit the car to walk around and pay the toll fees. So Jonner decided that it would be faster if when approaching a toll booth, I drive to the very front and he would jump out and stand by the payment booth passing the money back and forth as each car passed, then I would drive through as the last car, collecting him on the way. Although this system got many strange looks from both other motorists and the toll road staff, this system seemed to greatly reduce the amount of time lost at each stop. By mid-afternoon, with a few fuel and food stops out of the way, we had said goodbye to our last toll road and crossed over into Germany. As we crossed the dotted line on the map, the driving styles of every vehicle on the road seemed to change, the average speed seemed to increase by at least 20kmph and the distances between all the cars halved. The countless Renaults, Peugeots and Citroens we were surrounded with in France became Audis, BMWs and VWs and we began to see the magical magnetic front bumper of the new VW Passat estates. Every car that over took us on the Autobahn seemed to have a VW Passat estate less than 5 metres behind it no matter what speed it was doing. Sitting at the back of the group Jonner and I could see that there really is no room for error at Autobahn speeds, and more often than not hesitation or not being aware of what’s going on around you can instantly create some hairy situations. But after a few changes of passenger and some 200+kmph bursts along the Autobahn, we arrived into the Maritim Hotel in Ulm in the late afternoon. The massive underground car park vibrated to the sound of Invidia and Buddyclub exhausts as we rolled in. We offloaded our stuff, jumped into the lift and checked in, day two's drive was safely completed and it was now time to relax. After dumping the bags in the room, we headed to the bar for a while before we went to dinner; I was quite happy that everything we needed for the night was contained in the one building so there was no trekking around town looking for food or parking. After a few messages back and forth with Andy who was meeting us in the morning we went for dinner. This feast was perfect after a long day on the road and we had great seats by the window overlooking the River Danube as the sun set. It wasn’t much after 10:30 when I had to call it a night as I was still struggling to catch up on the sleep I lost back home and I knew the Friday was when the real driving began. The plan was Andy, Danique and Francis were meeting us outside the hotel at 10am and leading us into Austria and Italy. Friday morning started with the usual routine shower, food and check over the cars. A quick conversation with the receptionist while checking out gave us permission to line all the S2000s up in the courtyard out front for some photos before departure. As we drove up from the underground car park, the sun was casting some huge shadows from the surrounding buildings. The temperature drop in these shadows was enough to have us all huddling in the warm sunlight as we waited for the rest of our group to appear. A few minutes later André arrived just ahead of Andy and Francis, and we lined all ten S2000s up outside the hotel and took some snaps before heading off. Ian and Sue decided to go straight to Trento to meet the Italians, as we were planning a longer and more interesting route. We left Ulm just after 10:30am with Francis and Andy leading the way towards Bregenz where we picked up a few more S2000s from Switzerland. 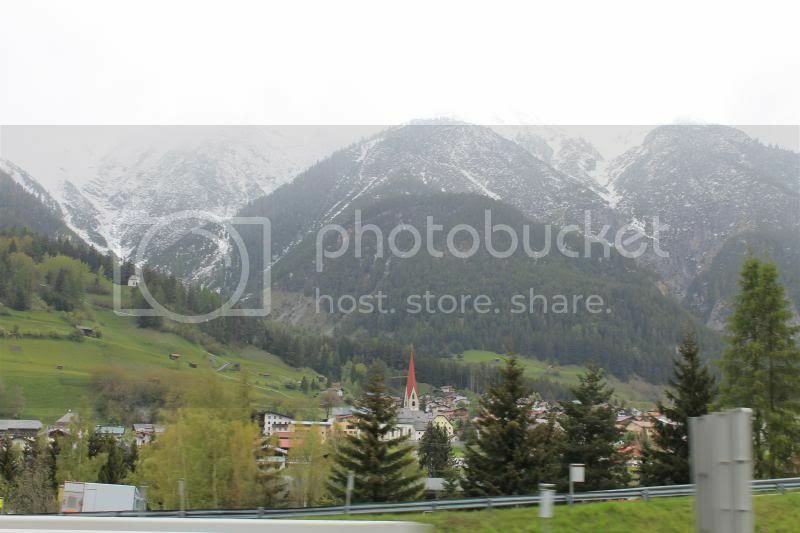 As we travelled south towards Austria, the Alps began to grow out of the ground in the far distance. The immense proportion of these mountains is staggering; the earth seems to go from fairly flat to peaks thousands of metres high in a matter of miles. As a driver the great thing about mountain ranges is there's only two ways past them, over them and under them - and we did both. Our convoy drove through numerous tunnels varying in length from a few metres to over 10 kilometres. These VTEC resonance chambers were a great source of high rpm entertainment. But after a couple of minutes of driving in the same tunnel, the combination of heat, smell and shaken ear drums began to tarnish the shine a little. Every time we left a tunnel the blast of bright day light and fresh alpine air added to the visual impact of seeing picturesque villages nestled in the woodlands on the sides of snow-capped mountains. Although the day was cloudy and the air temperature was decreasing as we climbed, having the top down made this environment even more special. 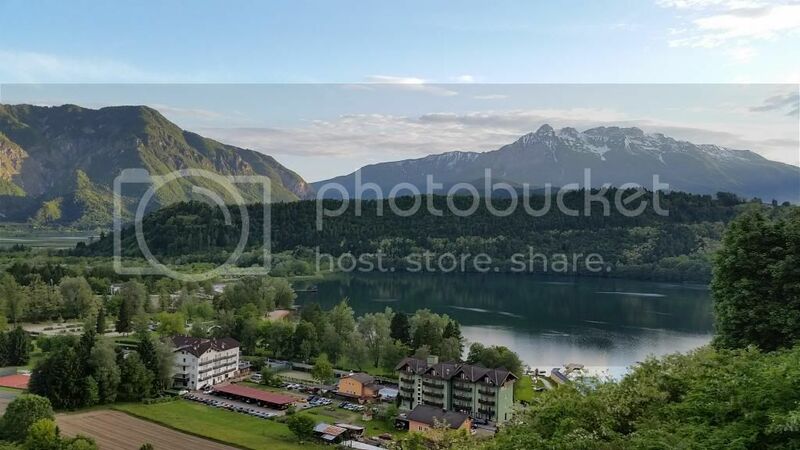 After spending the day up until mid-afternoon travelling through Austria, we crossed over the border into Italy and turned off the Autostrada and onto the mountain passes on a special route Andy had chosen for us. The next four hours or so was a blur, our initial climb up to the top of a snow covered peak for a quick few photos found many of us (no, not me) standing on the road side in shorts while it snowed. But the return down the far side was simply awesome, these fine ribbons of magical tarmac were delicately wound around the mountain side. Each rock-walled hairpin bend brought a new amazing view and another level of stress to both the car tyres and brakes. Francis and Andy settled into a rhythm that was a pleasure to watch, although I was barely hanging on to their coat tails at times. We had some beautiful bursts of touge driving that made all of my Initial D DVDs make sense and come to life all at once. We finally arrived into Levico Terme at a couple of minutes to 8pm after one of the most fun filled afternoons of driving I've had since the first Euromeet in 2009. Arriving at the Hotel Florida, we quickly got unpacked and immediately began catching up with friends from some of our previous S2000 adventures. It was great seeing Furio, Beppe, Ko, Erik and Stocky again as I hadn’t really spent time with them in the last few years, but that made no difference as the strong hugs and handshakes I received yet again let me know the S2000 spirit was still alive and well in everyone. After dinner we decided to fill up with fuel, and as 98 octane was not available everywhere it took us nearly 90 minutes of driving mountain passes to eventually find a petrol station that sold 98, and that was at a staggering €2 a litre. As there was only one pump we took turns in filling up as the others washed the cars; returning to the hotel close to midnight we had a really shiny fleet and some not so shiny drivers. It was a fast exit to bed as we all knew the awesome roads of today were only a tiny taster of what awaited us tomorrow. It was 4:55am when I woke up, just as the breaking light of dawn started to spill through the gaps in the curtains of our room. From my bed I could see a beautiful line of freshly washed S2000s enjoy their last few hours of rest. The birds were starting to fill the air with a beautiful chorus that was the perfect sound track as the mountains became more defined against the cloudless blue sky. The weather reports for the previous week had given for a weekend of wind and rain in Levico Terme, but as I lay in bed staring out the window I had a feeling they were very, very wrong. Having had a shower and breakfast before 8am, we checked the car's fluid levels and got ready for what Euromeet is all about, driving the S2000 as it was designed to be driven. 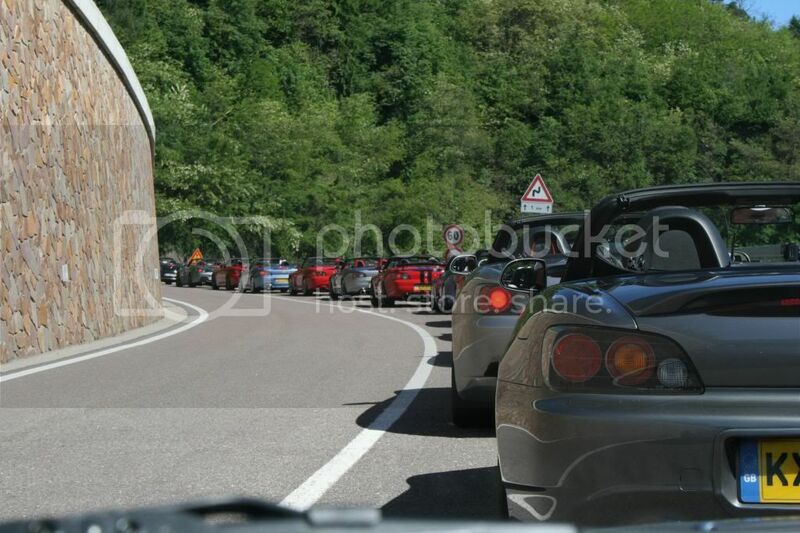 As releasing 137 S2000s into the wild all at once wasn’t practical, we set off in 3 groups. It was actually difficult to see the true scale of this event with S2000s being lovingly tucked away in any little corner that offered protection. 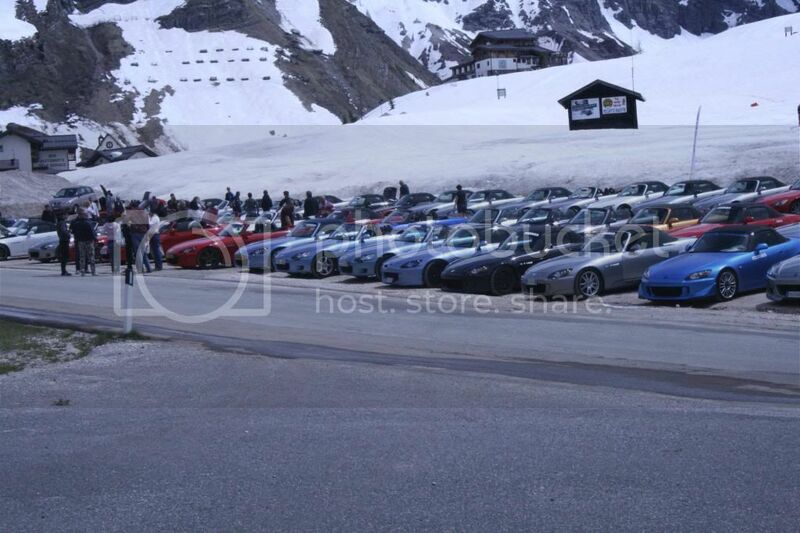 Just before 10am the sound of the birds singing was shattered as lines of S2000s started their engines, each one growling into life as they sucked in the morning’s first breaths of alpine air. Drivers made themselves comfortable and their passengers got their trigger fingers in action taking as many photos as possible. As we queued up along the front of Hotel Florida I could hear my heart beating, as one by one each car passed through the Tag Heuer archway and accelerated away. A shock wave of VTEC echoed along the wall of the hotel, making the hairs on the back of my neck stand up. When our turn arrived we were handed a map of the route, and as I handed ours to Jonner, nine months of waiting and dreaming was over and now it was time for us to enjoy what I can only call motoring utopia. The rule of never leaving a junction before being able to see the car behind you made progress quite quick and kept the group together well. Unfortunately after only a few kilometres Ger’s car developed a misfire and we pulled over to check it out. 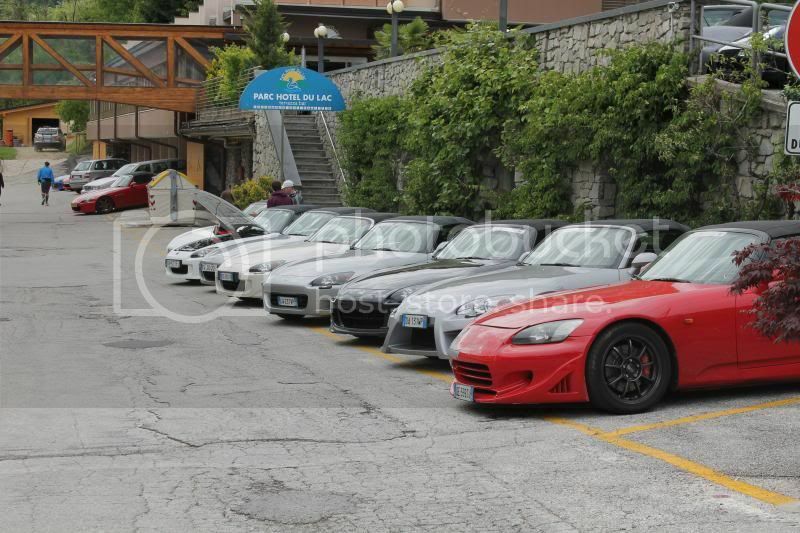 This is where the true spirit of the S2000 community and incredible Italian hospitality made a magical appearance. Within minutes, over a half dozen cars have stopped to help us and another German S2000 that had a VTEC solenoid issue. There were tools, workshop manuals and offers of help from every car that stopped. We began to remove the rocker cover off Ger’s car, and once we had the coil packs out the offending damaged seals became visible. At this point two of the Italian organisers, Fabio and Federica, arrived and immediately launched into action making phone calls and organising a recovery plan for Ger’s car. Ten minutes later with the car reassembled and moved to a safe location, we were all back on the road and Ger had joined Francis as a passenger. At this stage most of the cars had passed by and we had a lot of clear road ahead to catch back up. Driving away from the towns and further into the mountains, I settled down behind Francis and Andy as they attacked the passes once again. 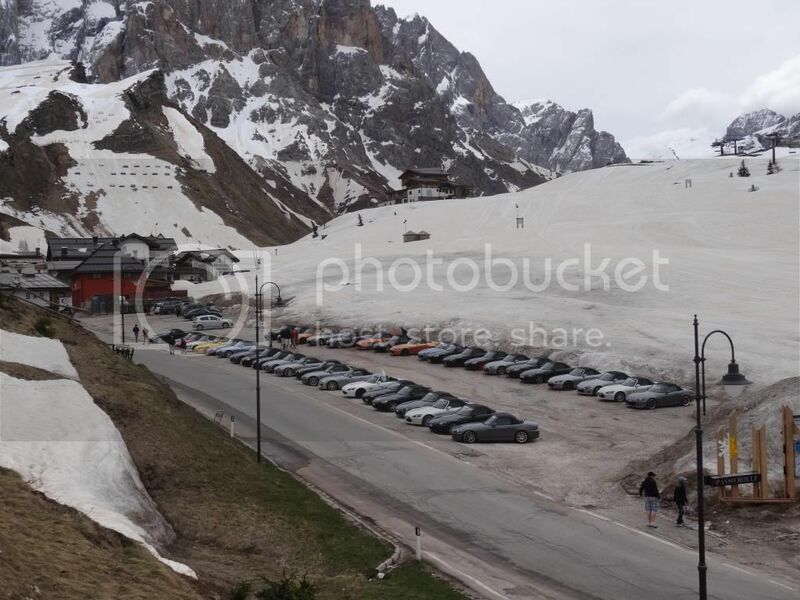 Other than a slight incident with a broken branch that flicked up off the road and cracked our windscreen, the drive up to the first meeting point at Passo Rolle was great fun. 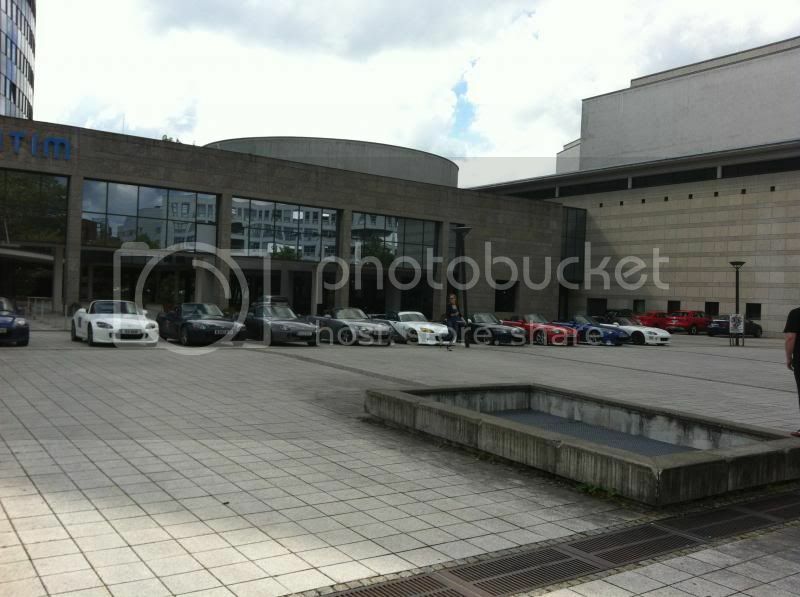 It was only as we parked alongside 130 other S2000s that the true scale of this event became extremely obvious. We stayed here for about an hour catching up with old friends and sharing the highlights of our trips to Trento. For our next leg we joined up with the rest of the Germans and I knew this was going to be fast. The mountain roads were virtually empty, except for the occasional puddle of melt water. The roads were spotlessly clean with a perfect surface from the mountain wall on one side to the barrier protecting us from drops of several hundred metres on the other. Sitting at the back we could see Ko, Erik, Andy and Francis using every available millimetre of road in order to obtain the correct line and carry as much speed smoothly through the corners. Very soon the braking and turn in points were identical and there would be a tiny flicker of brake lights before each car would disappear through the corner. These beautiful twisty pieces of tarmac were punctuated with small villages, each one more remote than the last. Entering these picture perfect villages gave the tyres and brakes time to cool off as we coasted through, listening to the sounds of S2000s tearing through the mountain roads high above us. Each time we arrived upon another village I was amazed as the locals of all ages cheered, waved and took photos of us; this really added to the sense of amazing warmth and kindness the Italians are famous for. 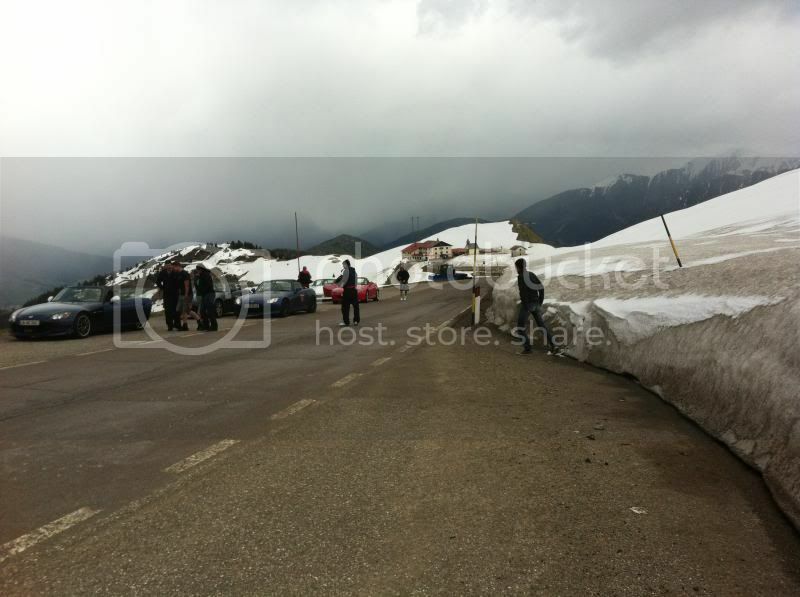 Arriving into our second stop off at Passo Brocon I was approached by Simone and Furio as they were looking for Ger. It was decided that Ger would go with Furio to collect his car and take it to Furio’s house. 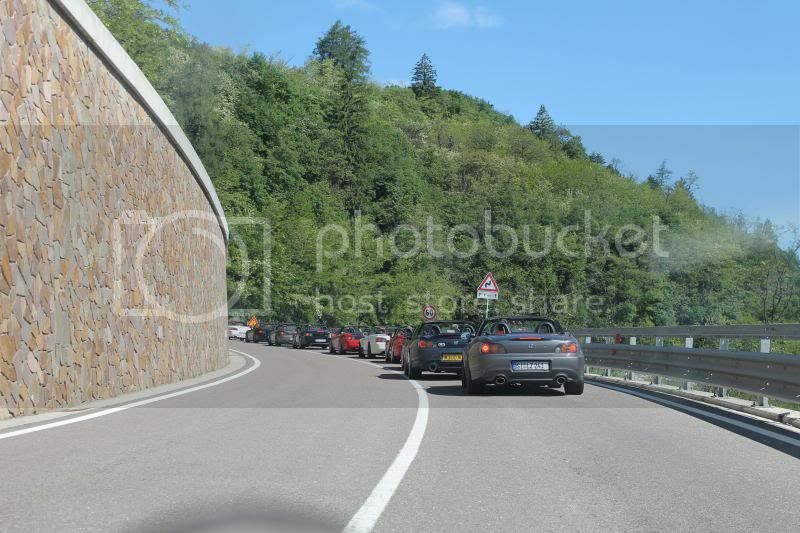 Having tried to follow Furio around the Nurburgring a few years ago I knew Ger was in for an exciting passenger ride as they headed off down the mountain pass towards Trento. It wasn’t long before the sound of Andy's exhaust signaled it was time to saddle up for the last stage of the day. I positioned us behind Ko as we waved good bye to the others and took flight into the first corner. Throughout the day the pace had been increasing and the last 50km to Levico Terme was going to see it jump substantially once again. Within the first couple of kilometres all conversation inside our car had stopped; I’m not sure I have ever witnessed such precise driving by such a large group of cars with each one tuned slightly differently. The section of road felt a lot narrower than the ones before, but maybe that was just my perception; the straights appeared to get shorter but yet the speeds seemed to be getting higher. On several occasions the straights seemed to disappear as I found myself in an almost endless flow of hairpin bends, the high mountain wall to the left and barrier on the right seemed to merge, leaving only barely enough space for two cars to pass. This is where the incredibly precise chassis and race car heritage of the S2000 really came to the fore. Without question or hesitation it changes direction in lightning quick fashion, as the weight flicks from side to side with a synchronised turn of the wheel and a flick of my right foot. In situations like this, the S2000 stops being simply a small two-seater roadster and roars into life as car and driver become almost telepathically linked. This spiritual connection was quickly tested as all daylight disappeared when we entered another tunnel. As my eyes battled to recognise any shape at all, the tunnel filled with the sound of screeching tyres and out of the corner of my sunglasses I caught the flash of headlights. Not knowing what was going on, I stood on the brakes in the hopes of buying me time to think, suddenly I was faced with a sloping wall of solid concrete and the side of Ko’s car reflecting our headlights back at us. Looking to my right I could see Francis on opposite lock as he exited the hairpin bend I was entering. I engaged second gear and with squinting eyes aimed for where I thought the turn in and apex was. Propping myself up against the centre console, we exited the tunnel in the same style as Francis, except maybe with a few more swear words in tow. Back in daylight it was full tilt again until the next tunnel entrance, which was treated with a lot more caution, and just as before there was a hairpin bend smack bang in the middle of the tunnel, but this time I was ready for it and handled things with far more composure. The last tunnel we encountered was fast flowing set of bends and much to my relief I could see the roads starting to flatten out as we approached the valley floor. At this stage all of my brakes were smoking, the clutch stinking and tyres were long overdue a rest. 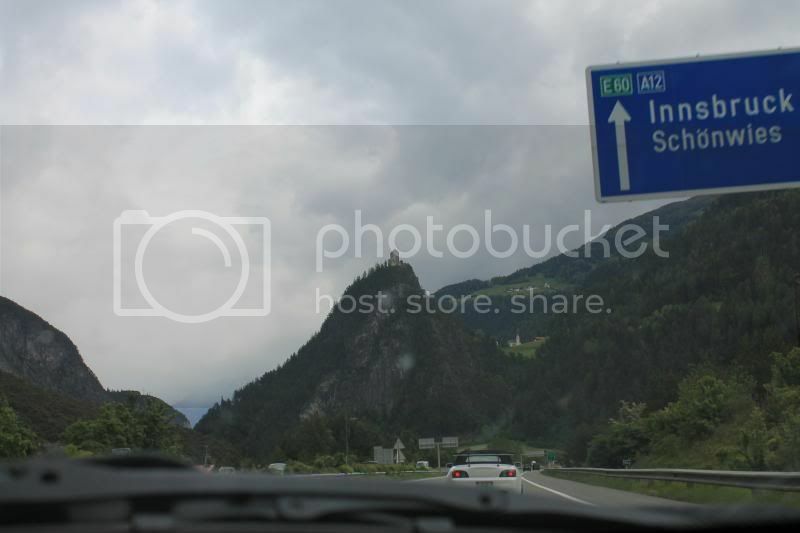 Approaching a junction that sign posted Trento and the Autostrada, Jonner and I decided to call it a day. Having waved goodbye to the rest of our group, we took a couple of minutes to consult the maps and figure out our directions. By the time we decided on the way to go we could hear a loud convoy of S2000s arriving behind us; a quick glance revealed Erik, Andy, Francis and Ko had all arrived back at the roundabout and joined us on the road back to the hotel. The return drive along the sp228 was at a leisurely pace until we encountered some Belgian, Swiss and French S2000s that were also returning to the hotels. This provided more great photo opportunities as we rolled the last 20km into Levico Terme and back to the parking spot across from the hotel. After a short conversation with Ger about the plans for his car, I decided having been awake since 5am it was time for a rest before the Gala dinner at 8pm. Arriving down to the hotel reception at 7:45, we gathered up the raffle and auction prizes and made our way to the beautiful Prime Rose restaurant. Entering the Prime Rose's garden we were greeted with a marvelous drinks and canapé reception, giving everyone the perfect chance to get discuss the driving antics of the day. With the sun starting to set behind the mountains and dusk descending across the lake, we were asked to take our seats in the main dining hall. For several minutes there was a constant stream of people entering the hall and taking their seats, and once everyone was seated a small army of waiters took to the floor, catering to everyone’s needs in a brisk and polite manner. 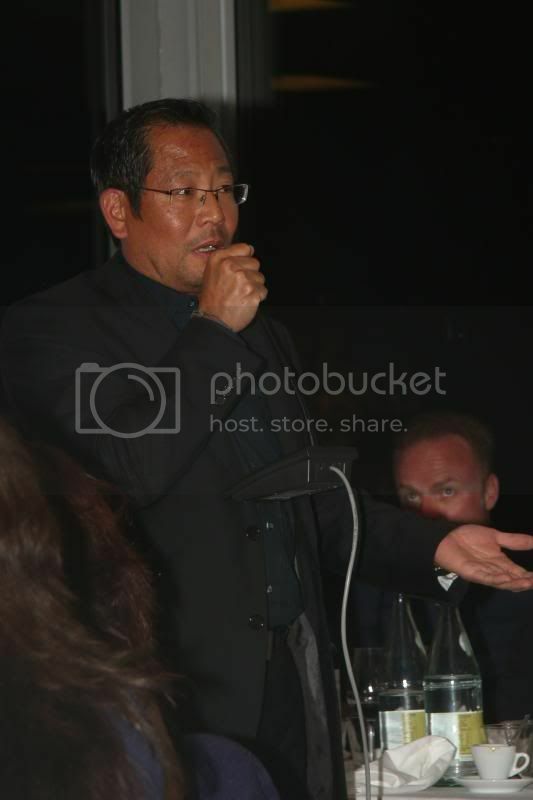 As the final dessert dishes were being removed, Ian took to the microphone and to a room full of applause, invited Ko to make a speech. Ko spoke very passionately about his love of the Honda S2000 right back to when he assisted Uehara-san during the early design stages and testing in Europe. He shared that having joined Uehara-san once again in an S2000 for Euromeet 2009, the occasion rekindled that spark so much that shortly afterwards he bought his own Ultimate edition S2000. This is the S2000 that he had brought to Euromeet 2014 and as Ko says “remains stock as the driver will always be the weakest link.” This is a true mark of humility and respect for the S2000 coming from such a talented driver. Unfortunately Uehara-san was unable to join in the festivities of Euromeet 2014 so he sent a beautifully heartfelt video message to all in attendance. “Hello everybody, it's me, Uehara. On behalf of my son, the S2000, I would like to thank you for celebrating his 15th anniversary. It would have been nice to meet you all again this year and to speak to you personally but unfortunately the distance is too big so instead I want to send you a video message today. As you know, the S2000 was developed as a "Real Open Sports" concept and to tell you the truth, the majority of test drive locations were here in Europe. I wanted to create a car, that would give the driver pure satisfaction, making him say: “What a wonderful day!” after driving around whole day. From the early stage of development we came to Europe frequently to perform test drives on German Autobahn, British country roads, Swiss and Italian alps in order to get a feeling about European roads and the resulting requirements for the car. Furthermore we got Ko Yamamoto from Honda R&D Europe to join the development from Europe side and we could receive many valuable input what it's all about to be fast on European roads. In Switzerland we used the workshop of Honda Switzerland as our base to try different components and settings. Also here we got some very helpful advice from Mr. Sage, the former president of Honda Suisse. After sufficient maturation on European roads finally the S2000 was completed. Even though the S was made to provide joy and driving pleasure in any situation, chasing through the winding roads of the alps in particular was most exhilarating. Driving open, revving the engine until 9000rpm, operating the short shift stroke, performing heel & toe, controlling the precise steering to exactly hit the apex......a moment of incomparable pleasure and excitement. During the last Euro Meet in 2009, where I had the chance to drive through the Italian Alps, I could feel exactly that excitement once again. As a unity of man and machine, the S is surely the ultimate machine to attack the winding roads of a “TOUGE”, the Japanese expression for mountain pass with its challenging corners. Recently there was an S2000 Meet here at Twin Ring Motegi in Japan, where those members came together who welcomed the delegation from Europe in 2009 and taking them to a touring trip to Nikko when they came all the way to Japan to witness the final production of the S2000 at Suzuka Factory. An emotional encounter the Japanese S2000 enthusiasts still keep in very good memory, meanwhile becoming a legend and still being cherished like a valuable treasure. 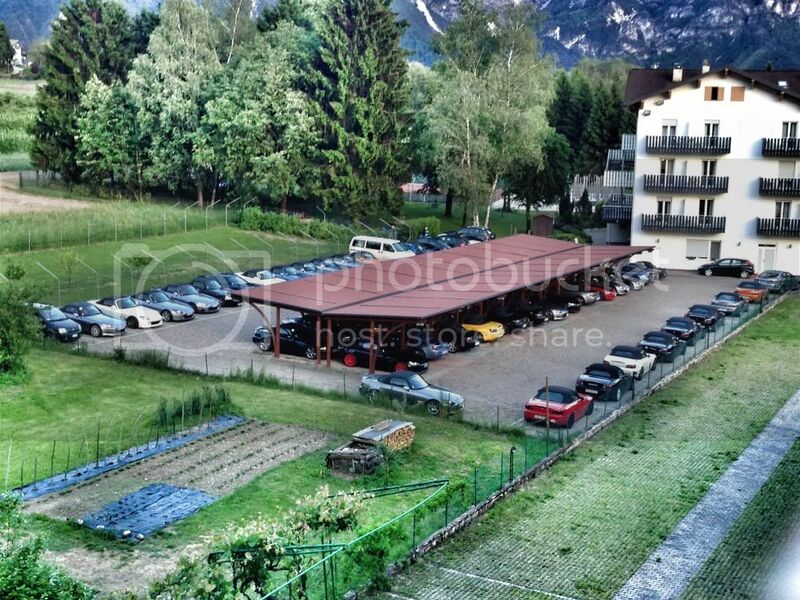 The 2014 Euro Meet being held in Trento again, I truly believe it will become a great success. I sincerely wish each and everyone loads of fun and driving pleasure, showcase your individual S2000 and have exciting discussions, share your emotions but above all, please stay in good health not to harm yourself or my beloved son, the S2000. Needless to say this was met with a standing ovation and rapturous applause. Both of these speeches brought back a lot of memories of Euromeet 2009 and the final production tour, and how truly lucky I am to be part of such a close knit international community. After everyone took their seats again it was time for the auction and raffle, everything from umbrellas to tyres and beers to superchargers went across the block in order to raise as much money as possible for the two chosen charities: Save the Children and Operation Smile. The next hour was a blur of shouting, laughing and clapping as the whole room got involved in the fun. It was almost 1am when we strolled back to the hotel, being guided along the darkened country roads by the sound of laughter from the group of Portuguese, who seemed determined to carry the party on just that little bit longer. After a few drinks in the residence bar of Hotel Florida, it was time for us to call it a night as tomorrow had even more adventures in store. 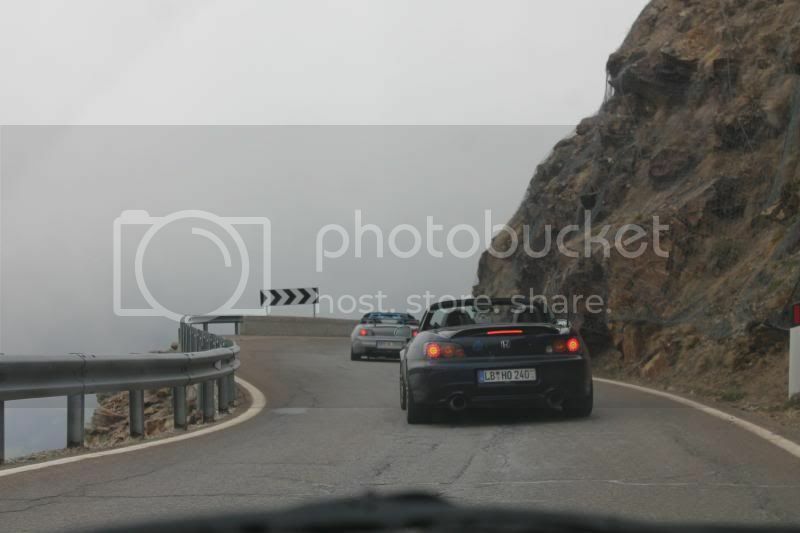 It was shortly after 8am when I woke on Sunday morning to the sound of S2000s being driven off into the mountains for more motoring madness. It was another beautiful day and one which the organisers had left free for people to make their own plans. Our plan was to go to Furio’s and start trying to repair or replace the damaged oil seals on Ger’s engine. Having searched high and low for Ger, we found him a little worse for last night's partying at 9:30am, and having discussed going to Furio’s we decided to leave at 10am. It was 9:38 when my phone started buzzing with a string of picture messages, all from Furio and each one showing Ger’s engine in a more stripped down state. I had been fully expecting to spend the day up to my elbows in oil and grease, so I was more than surprised to see the photos. By 10 am with Ger fed, Jonner, Ger and I climbed into Jonner’s S2000 and I proceeded to drive us out of the parking spot, much to the laughter of those around us. I was amazed how much space still existed in the passengers side with two 6 foot plus guys in there and the roof up. But with all my laughing and waving to people taking photos of the clown car, I completely forgot what side of the road I was meant to be driving on and went back to my default setting of driving on the left. Passing the hotel door I turned to look straight ahead to find two very unamused police officers driving towards me, I could hear a collective gasp as my passengers realised the situation we were in. Veering slowly back onto the right side of the road, I could see Jonner flattening himself back into the seat and Ger who was perched on his knee trying to make himself look as composed as possible. Both police officers stared into the car as I drove by trying to look like everything was completely normal. My eyes were fixed on the mirrors waiting for the brake light or worse blue lights to come on, but they never did and we continued on our way. Joking and laughing about the whole thing we headed towards Trento and Furio’s house. But our laughter was short lived when, about 3km for our destination, a police officer stepped out on front of me waving a small flag. Jonner and Ger assumed their positions of trying to make Jonner invisible and I started to slow to a crawl. The police officer pointed towards the opposite side of the road and just when I thought we were done for, a massive crowd of cyclists, from small children to adults, came streaming off a side road. The police officer along with two colleagues were there to marshal traffic for a family cycle event and not one bit interested in three Irish nutters squashed into a two seater Honda. After a second close call in ten minutes, I was delighted to see Furio standing on front of me as we approached his house. Parking beside Fabio's beautiful Berlina Black S2000, both Furio and Fabio burst out laughing as Jonner and Ger poured themselves out of the passenger seat onto the driveway. Entering the garage we could see the front of Ger’s S2000 was lovingly wrapped in cloths to prevent any scratches or damage while Furio stripped the rocker cover down. All the parts that had been removed were placed on a bench at one side and in the middle of all the damaged seals was the spark plug that had caused the initial mis-fire. Furio explained that when the seals that surround the spark plug tubes tore they allowed the spark plug tube to fill with hot oil, and as the oil began to boil it broke the ceramic in the spark plug and created the mis-fire. Having started at 8am that morning Furio had worked flat out to remove all the damaged parts and come up with a temporary repair for the damaged seals; this temporary repair would mean that Ger’s car wouldn’t be able to be driven till that afternoon. So with the passenger seat of Fabio’s car being a lot more comfortable than Jonner’s lap, we said goodbye to Furio and followed Fabio back to the hotel. 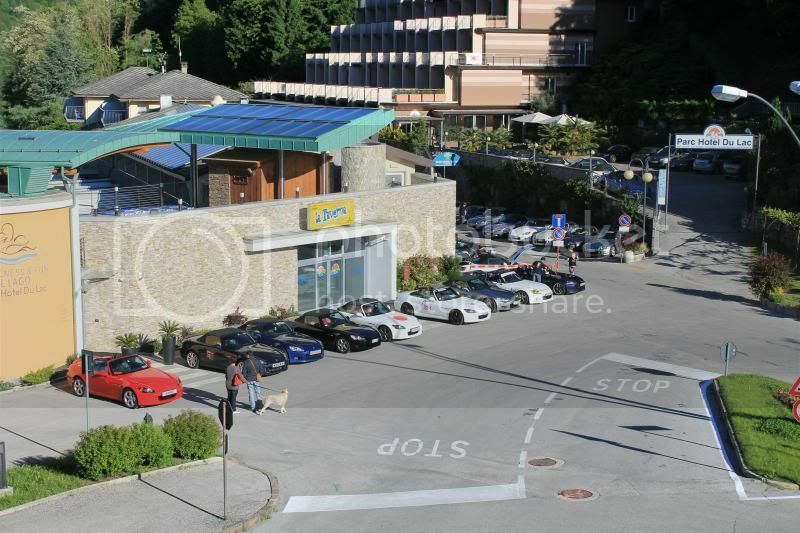 As we entered Levico Terme I noticed a vibration in the brake pedal but it stopped as we parked up. Ko, Erik and a lot of the Germans were leaving to find more mountain passes to enjoy, but Francis, Andy and Danique had decided to take it easy and spend some time cleaning the cars and chilling out before going for a drive in the afternoon. We decided that after yesterday's drive, Jonner’s poor S2000 could do with some attention, and some fuel and a wash was a good place to start. We spent nearly 2 hours cleaning and washing the three cars in the beautiful sunshine before heading back to the hotel. It was on the return trip that the vibration in the brake pedal became very obvious and a quick look revealed a cracked passenger brake disc. Discovering the damaged disc put a limit on the day's driving adventures, but having driven a minimum of 200km every day since Tuesday, I wasn’t that upset to have a day off. Settling on the veranda of our hotel seemed like the perfect way to spend the afternoon, but after a couple of hours I could see the need for speed building in Andy and Francis as we could hear the sound of VTEC echoing through the valley walls around us. After lunch they decided to take to the passes once again and Jonner decided to join them, but I was more than happy to chill out with Ger and Fergus who had been off on a walking tour of the lake. The afternoon seemed to pass in a flash and before I knew it, it was time to go collect Ger’s S2000 and we set off for Furio’s once again. This time when we arrived Furio had the engine rebuilt, new spark plugs fitted and the engine management fault codes cleared. He handed Ger a small cloth with all the damaged seals and spark plugs, and Ger sat into his car as it idled like a brand new engine. I asked Furio how long it had taken him to perform the work, and he wouldn’t tell me as it didn’t matter to him he was only helping a friend. I stood there in awe of the fact this man had given up so much time on his day off to help a fellow S2000 owner he had only met for the first time 24 hour previous. After saying goodbye to Furio’s children as they waved from the window, we set off for the hotel at a gentle pace as Ger didn’t want to stress his engine and I certainly didn’t want to stress our brakes. Sunday evening's dinner was a relaxed affair as each group dined in their own hotel and people floated in and out as they pleased. Once our whole group was assembled, we settled into the residence's bar and set up camp for the night. As some of the organisers assembled in the lobby to sort out some final details from the weekend, we took the opportunity to present some small gifts we had brought from Ireland, take some group photos and thank them for all their hard work and the wonderful weekend. With the invites to a Mega Meet in Ireland next year formally presented and the last of the goodbyes said, it was time to retire to bed. 9am on Monday morning was our departure time as we were to follow Francis, Andy and André through Austria, into Germany and on to the Nurburgring via Francis’ house in Stuttgart. This was a total distance of 835km, a decent day's driving in anyone's mind, but we had the extra challenge of making this trip without the use of the brake pedal. We waved good bye to the rest of the Irish contingent and all our European S2000 friends and with saddened hearts but heads full of happy memories, we made our way onto the Autostrada with Jonner behind the wheel. I knew that driving without using the brake pedal was going to present several challenges outside of our normal driving routine, but I was shocked at how quickly and naturally Jonner adapted. Watching as far ahead as possible meant that selecting the correct lane and down changing of gears could be performed with no use of the brake pedal and only minimal use of the hand brake to stop at the occasional junction or fuel station. 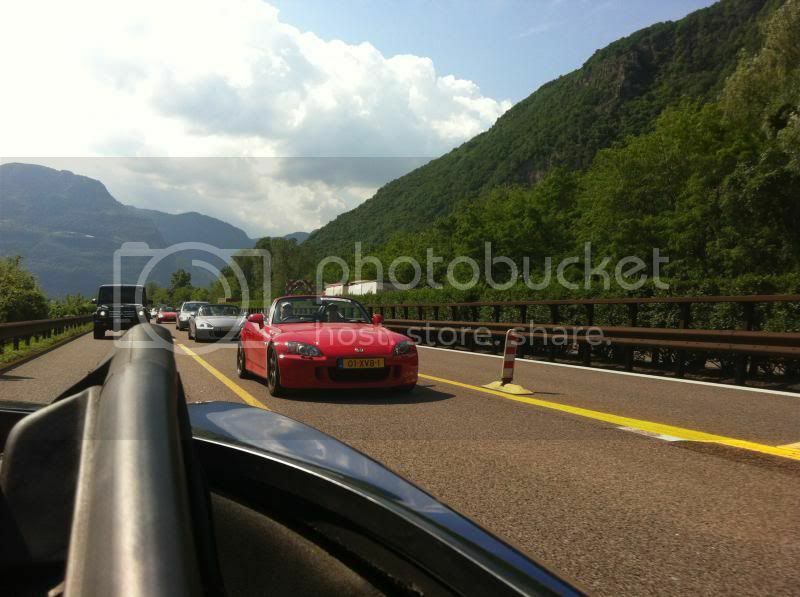 The trip through northern Italy and Austria was a far more direct route than the one we had taken only three days previous, but the small groups of S2000s we encountered made it just as exciting. In between the Mille Miglia stickered Mercedes Benz G wagons and countless C63 AMG estates, we encountered S2000s from France, Germany, Belgium and the Netherlands, all at various stages of their journeys home. 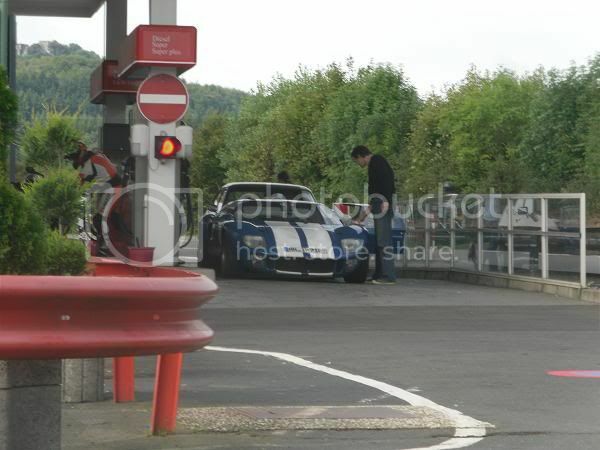 After about 250km or so we stopped to fuel up and I took over the driving duties. It was only then I realised how easy Jonner made this new style of driving look. For the first 100km or so I had to fight the urge to heel and toe as I down changed gears, and timing the gear changes while trying to hand brake to a stop almost tied my left arm in knots. The pace on the autobahns also took some time to get used to as I really had to keep one eye on Francis in the distance and the other on the rear view mirror. Again we encountered a VW Passat Estate but this one was under more pressure than the previous ones that had arrived behind us. I knew by the grumble that no Passat could make this noise, and as we moved out of its way I could see a red Audi R8 only inches from its rear bumper. The second the Passat cleared our little convoy it pulled into the middle lane and with a flash of flames from the exhausts of the R8 as it down changed gears, it disappeared over the distant hill well in excess of 230kmph. Just outside Stuttgart we stopped at Francis' house; this was a perfectly timed stop to meet his beautiful family, use his beautiful bathroom and check our brake discs. Once again the spirit and generosity of the S2000 community came to the fore as Francis offered to strip the brake discs off his car for us to fit to Jonner’s for the rest of our journey. 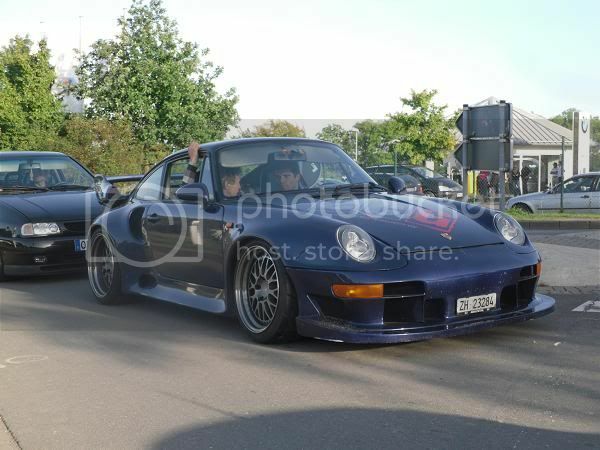 But as we were tight for time and the cracks were not spreading, we kindly declined and departed for the Nurburgring. The next 320km through Germany were fairly uneventful as Danique continued to set a steady pace, and about an hour before we got to the Ring, André waved goodbye and turned off for home. With only two S2000s left in our convoy and darkness settling in, we pulled over about 5km from the Ring to say our last goodbye to Andy and Danique. This was another situation of over whelming generosity as Andy offered to drive 70km back to his house, collect some discs he had at home, and return to the Ring and fit them to Jonner’s car. But as I was simply too tired to think about a night wielding spanners by torch light and Danique still had to drive another 250km home to Belgium, I convinced Andy that we would be fine. We said our final goodbyes to Andy and Danique and watched the Stullen Racing S2000 drive away for the last time; we could hear Andy opening the throttle as he went down the slip road and I paused for a second to hear it fading out into the distance. 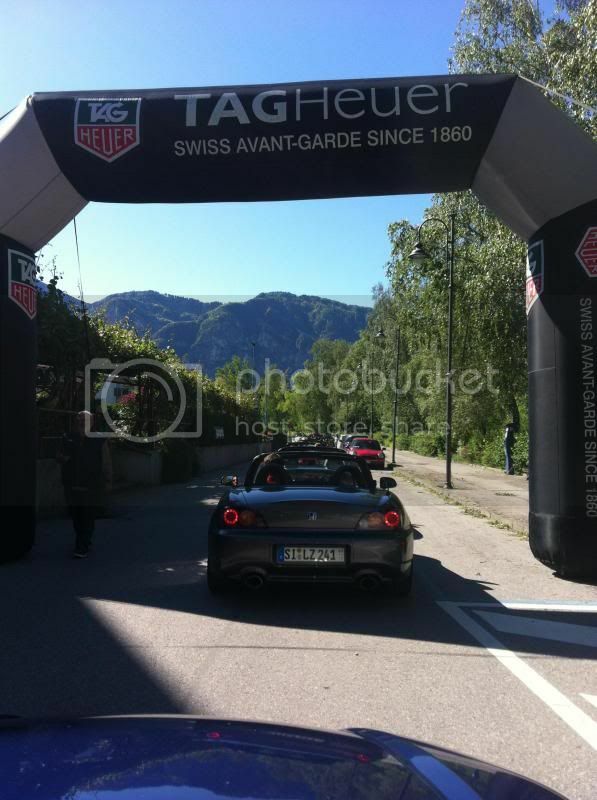 We pulled back onto the road and within a couple of minutes we had filled up with fuel and arrived at the Ring Haus. We quickly dropped our bags in the room and decided to dine at the Pistenklause Restaurant. Having dined there before we both knew what to expect, but the real reason for our visit was to look at the dozens of rare exotics that fill that side streets surrounding it. From Brabus Mercedes to Ruf Porsches, Range Rover Vogues and Nissan GTRs lined both sides of the street and without doubt or hesitation I parked our Honda S2000 slap bang in the middle of them. I had to smile as I looked back to see it covered in stickers, completely filthy and looking a little bit battered with its broken windscreen, but inside I knew two things, firstly its current condition was easily fixable, and secondly, that a lot of the manufacturers of the cars parked around us are only starting to match the S2000s engineering standards. It wasn’t long before Jonner and I fell silent as we tucked into some very delicious steaks, with the time in-between mouthfuls filled spent staring at the hundreds of race team stickers and photos of various race cars taken around the Ring. Once our dinner was finished, it was back to the Ring Haus for our last night's sleep on foreign soil. At 7am, the alarm shrieked in my ear, shocking me out of a very deep sleep. Unlike most mornings, I couldn’t just hit the snooze button and roll over as we were tight for time. With a few quick boiled eggs for breakfast and with a pocket full of fruit, we loaded the car, dipped it for oil and hit the road for Cherbourg. Jonner was driving and I was reading the map as we made our way through the Eifel Mountains towards Belgium. Using the same procedures as the previous day, Jonner really seem to have this driving without braking perfected, reading the road and down changing well in advance became second nature. After encountering a series of diversions we ended up sticking to the 258 to Schleiden, then on to Monschau before crossing over into Belgium and finding some motorways. Without the comfort of having locals to guide our way there was actually some navigation involved, and we started a routine of checking our speed, the time and our distance to Cherbourg. Our ferry was at 5pm and if for some reason we missed it then we had two choices: wait two days for the next direct sailing to Rosslare, or drive back to Calais and get a ferry to Dover and one from Holyhead to Dublin. Neither of these options really appealed to us so we needed to stay on top of things. As Jonner picked up the pace along the motorways, I was monitoring our fuel consumption and planning our fuel stops accordingly. These stops were performed with military precision, one would fill the fuel tank as the other paid and topped up our food supplies and so within minutes we were back on the road. Having covered 650kms through Belgium and into France and with road signs for Cherbourg starting to appear, it was time for our last fuel stop and Jonner to take a rest from driving. Another quick top up and I took to the driver's seat once again. It amazed me how after driving all the previous day without using the brake pedal my first reaction was to start braking as normal. But the vibration coming through my right foot and a quick glace from Jonner gave me the reminder I needed. The last 200km seemed to fly by as we were back onto familiar roads from Rouen through Caen and into Cherbourg. Arriving into Cherbourg we were delighted to see sign posts pointing in the direction of the ferry port, but this delight was short lived as a diversion from road works started to send us in completely the wrong direction and into a maze of one-way streets. The next half hour was probably the most frustrating time behind a steering wheel I’ve ever had; every turn we took gave us another glimpse of our boat getting smaller in the distance. With only 15 minutes to spare, we finally found a roundabout that had all its exits open and were able make our way into the ferry terminal. I was so relieved to be rolling up to the check-in office - I always seem to suffer from ferry fever when I’m trying to catch a boat but having the thoughts that our front disc might let go under braking adds just that little bit more tension to the journey. Once on the ferry the routine was almost identical to the sailing we took to France only a week before; find our cabin, dump the bags, get some food and sleep. After a quick chat with a confused customs agent who couldn’t figure out why I was driving Jonner’s car, we set off on the final leg of this adventure. The glorious sunshine stayed with us all the way to Jonner’s house which was a really fitting end to an amazing road trip. We off loaded Jonner’s stuff and emptied it into the hallway of his house before I said good bye to him and slowly made my back onto the motorway. As much as I wanted to get home to my family and my dog, there was a huge part of me that just wanted to spend the rest of the day driving around not wanting this adventure to end. Having spent the last week driving in huge convoys of S2000s and then start to watch the numbers dwindle as you get closer to home, to then find myself as the last man in the only car heading for my house brought up a huge raft of thoughts and emotions. I couldn’t help but think about what the S2000 has brought into my life, the fact that I have had my S2000 for 6 years, and in that time I have put over 160,000kms on it as my daily driver. Although some people chose to keep their S2000s as a weekend car, I’m privileged to be able to enjoy mine every day. I can keep my car as a daily driver as it’s been engineered to such an incredibly high standard that it’s insanely reliable and I don’t get bored of its shape or looks, because its looks were designed way ahead of its time. But both of these don’t make for what keeps me fighting against the practical and financial reasoning of it being an old car with high mileage. It’s the spirit of the car that keeps these thoughts at bay; normal engineers and designers alone can’t make a car's spirit. It takes engineers and designers with incredible passion and determination to stay true to the original dream behind the design and that’s how the spirit of the S2000 came to be. I am still totally in awe of how this spirit has spread through the global S2000 community, and the power and dedication its members have to keep their S2000s on the road for them to enjoy as long as possible. I’m even more blessed to be part of a community that without hesitation pulls together to help each other no matter whom you are or where you are from. Even before I left my house for Euromeet this community was showing its true strength, from everyone who called and offered help to fix my car, to Jonner’s straight up offer to take his car at the last minute, and everyone who stopped to offer help when Ger’s oil seals failed; Furio, Fabio and Federica for getting him back on the road and to Stocky, Francis and Andy for offering us brake discs when they heard ours were cracked. All these moments show me how lucky I am to be surrounded by such great people I can call friends. To the entire Irish contingent who believed me, when I said driving to Italy for a weekend was a great idea: well done lads, I think you know what I mean now. To Andy, Danique and Francis: you guys should think of becoming high speed European tour guides. Thank you for all the help and advice over our epic adventure. A huge thank you to Jonner, as without you I’d never have been able to leave my driveway and as always it’s a privilege to share another S2000 road trip with you! To Ian, Sue, Martin and everyone from S2KUK that was involved in organising Euromeet 2014. You can be very proud of all you’ve done once again. To Furio, Fabio, Federica, Beppe and everyone involved in S2k Italia for being such amazing hosts and planning such an incredible weekend of driving. I’d like to say thank you and I hope to be able to return the hospitality very soon. And finally to Shigeru Uehara-san, Kotaro Yamamoto-san and all at Honda, who by staying true to their dreams allow so many of us to live out ours. I’d like to say a heartfelt Domo Arigato and may you all dare to dream with such passion for many years to come.